We're delighted to be returning to Premiere Classe, the trade show at Jardin des Tuileries in Paris, 1-4 March 2018. Presenting “Two Cities”, the Autumn/Winter 2018/19 collection inspired by exuberant Rococo fashion and hairstyles, and by architectural details around Paris and London. Expanding on this rich inspiration, this year’s collection features tactile pleating, tailored panelling, sculptural flourishes and feminine button detailing. We'll be presenting Karen's creative re-interpretations of hat styles such as fedoras, caps and berets - blending design innovation and craftsmanship with everyday elegance. Now in our 11th year of exhibiting at Paris Fashion Week, we're really looking forward to connecting with our buyers, international contacts and fellow exhibitors. See you there! We're delighted to be showing at Scoop for the first time! Find us in Gallery 11 at the Saatchi Gallery, where we'll be showing the Women's A/W18-19 collection to buyers and press. The secret sale features end-of-line styles, samples and one-off test pieces at fabulous prices, aswell as select styles from the current collection with seasonal reductions. The secret sale is exclusively for our newsletter subscribers, so why not join us here? Many thanks to all who came to Cockpit Arts open studios. Our last show of the year is done and dusted, what fun it's been! Thank you for your continued support. Here are a few visuals of the event, including Business Incubation Manager and Hats For Everywoman project participant Imogen Lawry, with her new limited edition Petra cap. It was a pleasure to be selected by Grant Gibson, editor of Crafts Magazine, for his special showcase during Open Studios. The cap shown is a limited edition men's Windswept Flat Cap, made in collaboration with innovative textile designers Dashing Tweed. The unique tweed is called Urban Check and glows in the dark. Find out more about the showcase on Cockpit Arts' website. The artwork you see in the background is by textile artist Ekta Kaul. There is still time to order online for Christmas gifts (or a cheeky gift to yourself!). Most hats are made to order and in 90% of cases Karen can send your hat out within 5 days. 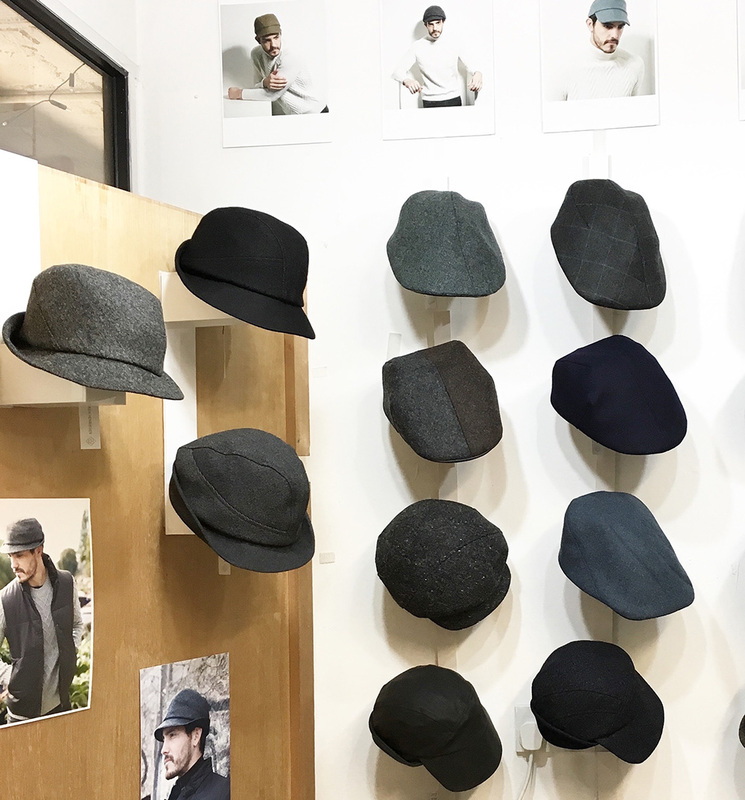 Join us 23-26 November at Cockpit Arts Open Studios, to view Karen's full range, see for yourself which styles suit you best, or commission a unique hat to match your coat. A preview of the new 'Two Cities' Atumn/Winter collection can be seen in the gallery, with a selection of new model photographs. The collection takes inspiration from Rococo fashion and hairstyles, and from architectural details around Paris and London. 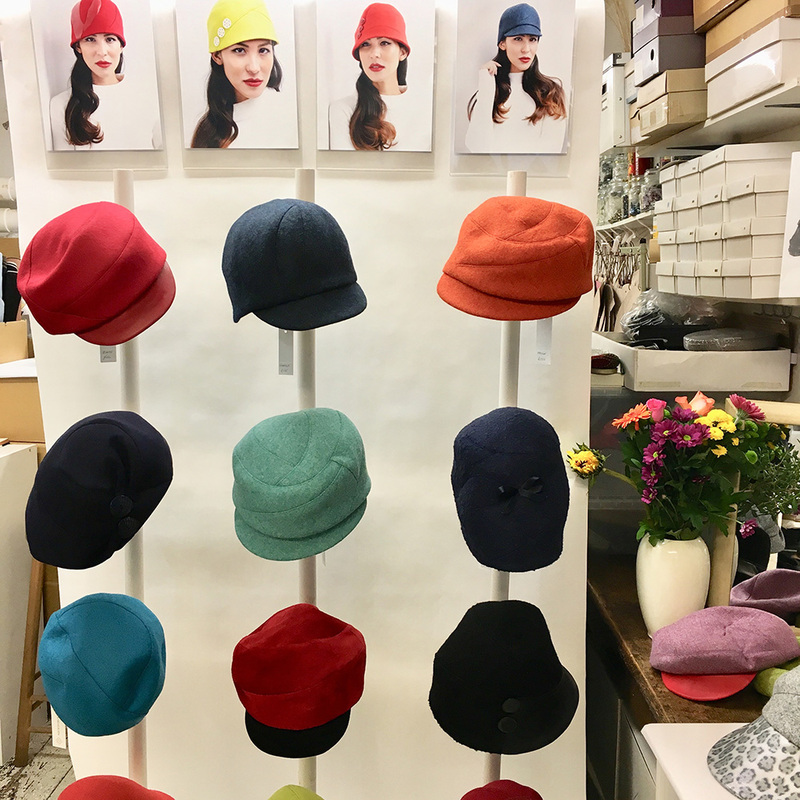 This November, come and see where Karen Henriksen creates her thoughtful, innovative hats which are highly wearable and intended to last a lifetime. During open studios, Cockpit Arts becomes a hive of festive activity as all the resident makers open up their workspaces and showcase their creations. There will be live singers on the Thursday evening. Join us for plenty of festive handmade cheer! Hope you can join us at this beautiful show! Find us at stand D8. From 21st to 24th September we'll be exhibiting at Design Junction as part of London Design Festival, in the heart of the King's Cross creative quarter. Expect to see an exciting mix of products for the home and cutting-edge design. For a flavour of the show, here is a selection of products curated by the Design Museum. We're showing as part of 'Material Consequences', alongside talented accessories designer Candice Lau, and multi-disciplinary jewellery designer Rentaro Nishimura, both fellow studio-holders at Cockpit Arts. Further information here. You can benefit from a 50% discount on entry tickets, costing just £7.50 instead of £15, by using the code 'DJMATERIAL' when purchasing online before your visit. Join us this Autumn to view and try on the latest collection, in some wonderful London locations! From 21st to 24th September we'll be showing at Design Junction as part of London Design Festival, an exciting mix of products for the home and cutting-edge design. We're showing alongside accessories designer Candice Lau, and jewellery designer Rentaro Nishimura, both fellow studio-holders at Cockpit Arts. Further info on the Material Consequences website. Over in Kew gardens, we'll be showing at Handmade in Kew for the first time, between 12th and 15th October. The show presents a beautiful selection of work made in the UK by individual artists. It's also an excuse to visit the wonderful Kew Gardens. From 19th to 22nd October we return to the beautiful setting of One Marylebone for Made London - it's a stunning former church designed by Sir John Soane. At this popular show you can expect to find the best makers working in a range of media including textiles, handmade accessories, ceramics, jewellery and much more. Celebrating Summer with our Secret Sale, only available to our newsletter subscribers. Come rain or shine this summer you'll be covered, with a cheerful selection of end-of-line brimmed hats, trilby hats, visors and caps for both men and women, with up to 60% off! It's our way of saying thank you for your continuing support! This sale is exclusive to our newsletter subscribers and will run until 31st July. Sign up today to receive your login. Shots from the 'Hats for Everyman' project, which aims to showcase our hats being worn by real people. It is an online showcase of Karen's designs, shown in a fun and approachable way. we've been photographing our friends and colleagues at Cockpit Arts, wearing different hats by Karen Henriksen - including Karen's signature flat caps, beret-caps, and trilby-style brimmed hats. Huge thanks to our wonderful models - Cockpit Arts patron Eric Campus, Letterpress expert Theo Wang of Print and Ephemera, and Cockpit Arts studio manager Adrian Lee. See the full gallery here and watch out for the 'Hats for Everywoman' project coming soon!